So, you're tired of your neighbors piggybacking on your Wi-Fi and it's too complicated to set up a way to secure your signal? Well, the low-cost solution is... PAINT! CNET says researchers at the University of Tokyo have made special paint blend that will cancel out your Wi-Fi signal so it won't go beyond your wall. The Grand Theft Auto-inspired game "Payback" [iTunes link] is now in the App Store for $6.99. The game is getting very good reviews on iTunes and for a new game it's priced competitively. Great iPhone Games On Sale! 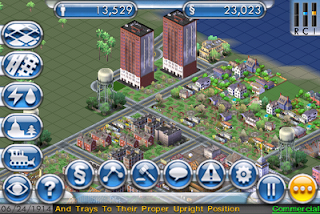 SimCity [iTunes link] for the iPhone is finally on sale for $7.99 so I decided to take the plunge! It has a steep learning curve but it's a pretty good gaming experience. The highly-realistic Action Bowling [iTunes link] game is also on sale for $.99. It's normally $2.99. And though there are flaws with Iron Man: Aerial Assault [iTunes link], it doesn't seem as bad when you only pay $.99 for it, down from a hefty $7.99. - Fixed issue where some images saved from Mail do not display correctly in the Camera Roll. Granted, this is a x.x.1 upgrade so no one should have been expecting anything earth-shattering. If I do find hidden features then I'll report them here. If you're jailbroken, do not update until there is a jailbreak available for 2.2.1.
iSniper Lite [iTunes link] - It's no "Brothers In Arms" but it's still decent for a free game. Super Monkey Ball Lite [iTunes link] - The original Super Monkey Ball didn't seem attractive enough for me to buy when the App Store first rolled out and this game doesn't get much more impressive several months later. But, it's FREE! Also, iHusky 3D Pet Lite [iTunes link] has a new update today and gives the app much more functionality. 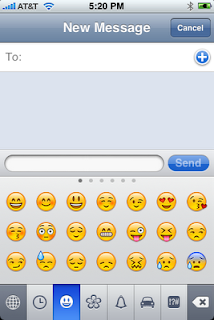 tastyblogsnack.com shows us a way of getting those Japanese Emoji icons in our SMS without jailbreaking. Buy the iPhone app called FrostyPlace [iTunes link] for $.99. Open up the FrostyPlace app. It's an RSS Reader for a Chinese Mac news website. Close app and go to iPhone Settings. Go to General ---> Keyboard ---> International Keyboards ---> Japanese. Turn the switch to "On" for Emoji. Go to the SMS app. Hit the globe key until you see the Emoji. UPDATE 1/30/2009: At least one person told me that if you didn't buy FrostyPlace and "install" your Emoji before upgrading to OS 2.2.1, this workaround will not work for you. Ustream iPhone App Now In App Store! It looks like Ustream.tv made good on its promise to bring the 2009 Presidential Inauguration LIVE on your iPhone with its Ustream Viewing Application [iTunes link]. However, my excitement has been tempered with the fact that you need a Wi-Fi connection to use it. Oh well. I won't be able to see inauguration festivities but I'm sure it will come in handy for something else in the future. I'm a really old gamer. Back to the early Atari days. In the mid 1980's I was able to get an Amiga computer. One of the adventure games that I spent a lot of time on was called "Borrowed Time" - basically a detective game. Fast-forward to 2009 and now I have an iPhone. And it appears that I have found another "Borrowed Time"-type of game. It's called "1112 episode 01 LITE." [iTunes link] It's the free version of the $7.99 game of the same name, sans the "LITE." I have to admit that 82MB for a free game is quite impressive. Even more impressive is that the paid version is 125MB. This adventure game has highly-stylized graphics with some animation. Reminds me of a mature version of anime. 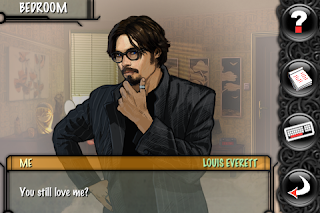 Doesn't the main character look like Johnny Depp? Anyway, you should try it. I'm having a hard time getting out of the initial stage. It's cool if you like to play detective. As soon as I have time, I'll make a video of it. Since the iPhone app i.TV first came out, it has made significant updates that really make this app worth downloading. 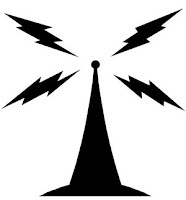 i.TV is a free television listings app. It has a lot of ads but at least it's free. One of the most significant updates to this app is its ability to stream ENTIRE television shows and movies. Granted, not a lot of shows are streamed at this point. And some movies, like "The Golden Compass," have bad streams. One of the best streaming television shows on i.TV is the classic "Star Trek." You can watch it in its original 4x3 format (pictured) or you can fill the screen. Right now, the best way to watch live or recorded television on your iPhone is Orblive, at least until SlingPlayer is released. But both of those apps require hardware that you may or may not have. i.TV requires absolutely no additional hardware, but the streaming content probably works better over 3G or Wi-Fi. Unless you'd rather have a no-frills T.V. listings app like What's On TV?, i.TV is a must-have for iPhone owners. The MacRumors Forums is keeping track of which shows are being streamed so that you can just search for it instead of flipping through the listings. Soon, Ustream will be offering an app to let you watch streaming live videos on your iPhone. You can't shoot streaming live video FROM your iPhone yet but hopefully this is a sign we are not far away from that. 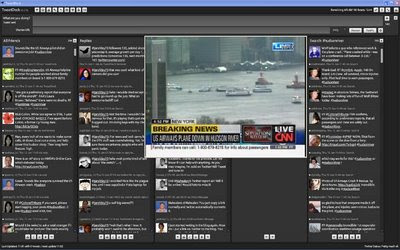 On my computer, I was on TweetDeck and watching live television as the Hudson River plane crash was going on. Twitter was (and is still) pumping with comments on the plane crash. Amazing that everyone survived! A Great Day For iPhone Games! Brothers In Arms® Hour Of Heroes has been discounted from $9.99 to $5.99. That was good enough for me to buy. Using a virtual joystick is a bit tough for a first-person shooter but I'm slowly getting better. Burning Tires™ 3D Lite is a new racing game on the App Store. Not as realistic as Ferrari GT, but not as cartoony as Cro-Mag Rally. I also dislike accelerometer controls that you have you turn your iPhone like a steering wheel, but that's just me. Try it out for FREE! DanceDanceRevolution S Lite is the latest iPhone game from Konami. As a veteran of both Tap Tap Revenge and Saturday Night Fever: Dance! I can say that DDR S Lite is SUPER HARD! And in this free version there's only one stage. I still like a lot and it will be interesting to see the full version, which has not been released in the U.S. App Store. Action Bowling Free is one of, if not the most, realistic bowling game on the iPhone. While I love my Flick Bowling, Action Bowling has really great lifelike 3D motion on the pins and it would probably be easier to knock down splits. It also has an motion mode where you swing your iPhone like you're swinging a bowling ball. I use two hands so I won't actually throw the iPhone. There's also a flick mode which I prefer. In the free version you can only practice; the paid version is $2.99. I'll wait until the price drops back to $.99. It was the eventual metamorphosis of the great iPhone app Cannon Challenge. iShoot Lite is the same basic concept except that your targets are firing back. Also, you can buy special weapons that are REALLY cool. I know there is a paid version of iShoot Lite but I'm having so much fun with the free version that I don't feel like I need the upgrade. It's the #1 free game in the App Store. I'm one of them: a desktop PC user and an iPhone user. That's because I'm cheap. I build my own PCs from scratch at really cheap prices. I'm usually never on the bleeding edge of technology. I even waited for the 3G version of the iPhone to come out. But, Windows 7 intrigued me. It's not only an upgrade but it's FASTER and BETTER. With the Vista debacle, I had to check this one out. I installed Windows 7 in a different partition from Windows XP so I could keep both operating systems going at the same time. The one downside of doing that is that I don't have access to ANY of the programs in the C drive for XP. But, I figure that uninstalling Win7 will be much easier. 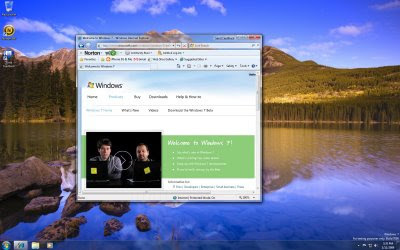 My McAfee virus program was not compatible with Win7 so I had to install a trial version of Norton. I chose a really cool desktop theme called "Landscapes." It shuffles around several desktop backgrounds and you can set how often you want it to change. The default was every 30 minutes but I chose for it to change every day. If you also notice in the picture above I chose a clear theme for the trim around the browser windows. Very cool. I would never buy this for $2.99 but it's a nice app when it's free. 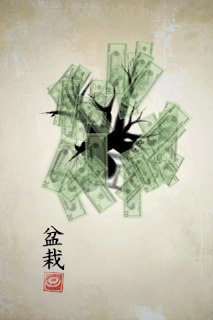 iBonsai [iTunes link] makes a custom Japanese bonsai tree for you in the artistic style of Japanese paintings. The tree is in 3-D so you can rotate it and zoom in and out. You can view it in landscape or portrait mode. Apparently, the money tree is rare but I got it fairly early on (pictured, left). It's free for a limited time. Palm Pre: The Next iPhone "Killa?" It's funny how the moniker "iPhone Killer" is bandied about. While there are more worthy competitors now than just six months ago when the iPhone 3G was released, none of them really compel me to drop the iPhone. The big mobile phone at the Consumer Electronics Show in Las Vegas this week is the Palm Pre. While Palm is no stranger to touchscreen mobile phones, the Pre is arguably more iPhone-like than any other phone on the market. It has Wi-Fi (sorry, BlackBerry Storm), a 3.5" headphone jack (sorry, T-Mobile G1) and it has many features over the iPhone including a better camera, multitasking capabilities and stereo Bluetooth. Although the Pre is no iPhone killer, it certainly is a worthy competitor along with the BlackBerry Storm, the HTC Touch Pro/Fuze, and the Samsung Omnia. The Palm Pre will also be Sprint's flagship (sorry, Samsung Instinct). Aside from iPhones and all this tech stuff, another interest of mine is film. And here's a video I found using a new iPhone app called Vuclip. Then I found the original video at overthinking it.com.